Cleesink1/2-HP SUPER QUIET Garbage Disposer,Dc permanent magnet motor With a high-speed 2800 r.p.m, Super 4-stage grinding system. It makes grinding more efficient.Cleesink disposal three point snap design, quick installation, easy installation and removal. Cleesink concentrates on designing, developing, producing and selling food waste disposers. 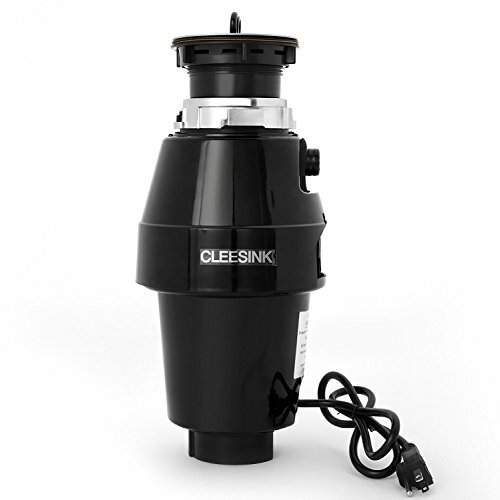 Cleesink disposers are designed to fit sink with a 3.5 in sink hole. We give the most competitive discount. Please don't hesitate to contact us. LOW NOISE - Double thick insulation materials, can better reduce noise generated during the operation of the machine. FAST-AND-EASY - Cleesink disposer can be easily mounted on a standard diameter sink below. Quick installation technology, quick lock mounting system, installed in the bottom of the sink, three point bayonet, easy installation and removal. SAFETY PROTECTION - Overload & overcurrent double protection designs. No blade grinding technology, the design does not contain any blade or knives, safe operation.